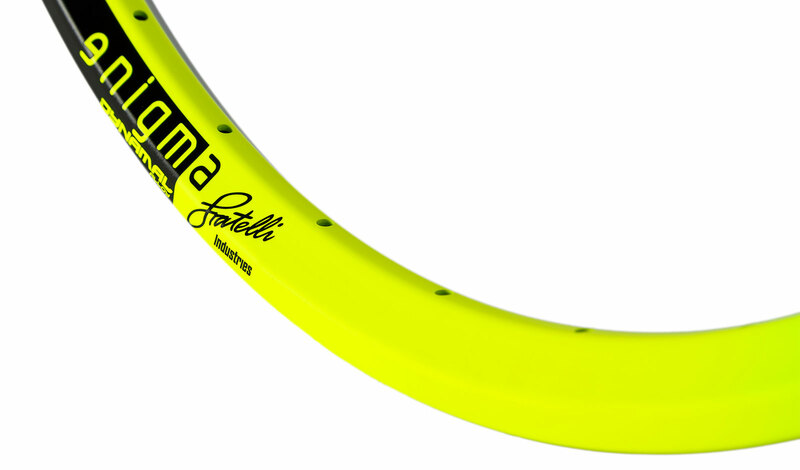 The new Downhill/Enduro rim features a wide 30mm profile that works perfectly with bigger tires, giving them more stability and a correct profile. This tough high-end rim is made of superalloy material with a special heat-treatment procedure. The new Dynamal material offers superior mechanical properties, such as increased ultimate tensile strength and yield of the material. In short, it's way more stiff than standard alloys used in most rims on the market. 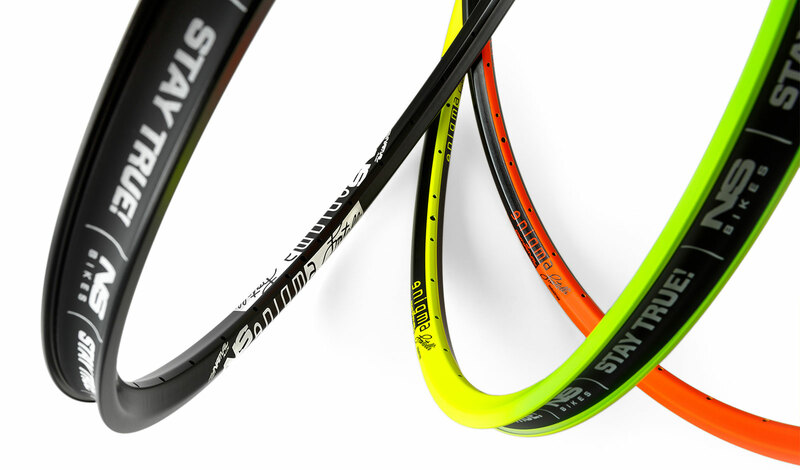 A sleeved connection results in a strong and impact resistant rim and also saves weight due to the specific rim profile. 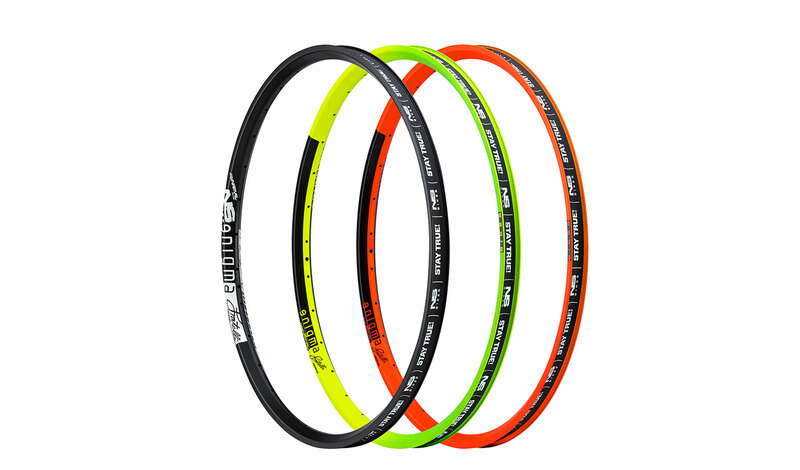 The Enigma Dynamal rims are 31mm wide and 22mm high, and are a perfect choice for all heavy duty MTB applications - including DH and heavy-duty Enduro. 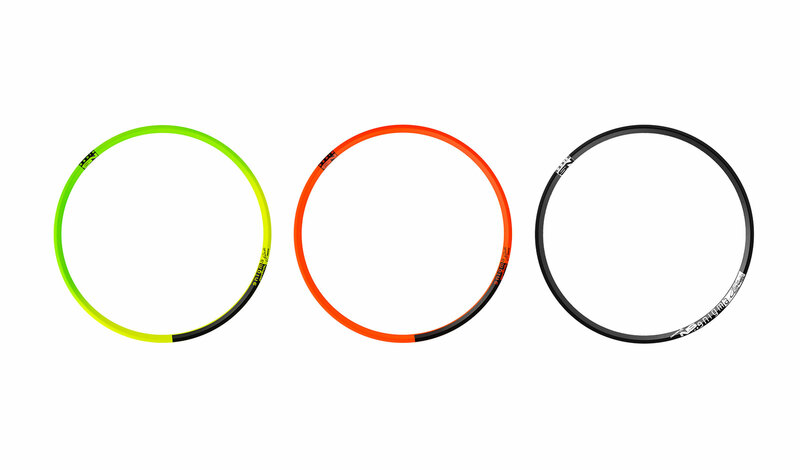 Another feature is the high-end graphic application technique that makes these rims stand out. Available in 27.5” size in 32h drilling only. Wide, pressure resistant NS rim tape completes the package. Special bead design works well with all tires even at low air pressures, easily sealing the rim and tire in tubeless application, also reducing pinch flats with standard tubes.